Nature's Easter Egg Scavenger Hunt – Explore signs of spring and nature's renewal with our Easter-themed scavenger hunt. 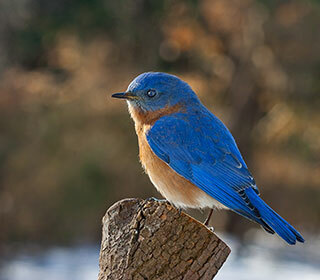 Birds and Breakfast – Experience the return of spring migratory birds with the Barry County Bird Club. Native Plant Sale – Come buy native plants propagated in the Institute's greenhouse. Spring Wildflower Hike – Enjoy the sights and smells of spring at the Little Grand Canyon. Set on 742 acres in rural Barry County Michigan, Pierce Cedar Creek Institute, a mix between an environmental education center, nature center and biological field station, provides visitors with an opportunity for outdoor education and exposure to a blend of diverse habitats including wetlands, forests, marshes, streams, lakes, and prairies. The Institute offers environmental education and sustainable land management programs to the community, edifying environmental stewards by communicating the core values of land conservancy, environmental responsibility and the pursuit of knowledge; provides undergraduate research grants and research partnerships with a consortium of area colleges and universities; and features nine miles of hiking trails open to the public, free of charge, from dawn to dusk year-round. 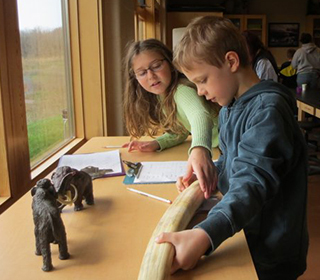 Join us year-round for exciting activities and learning experiences, from establishing a backyard wildlife habitat to ice cream socials and guided nature hikes. 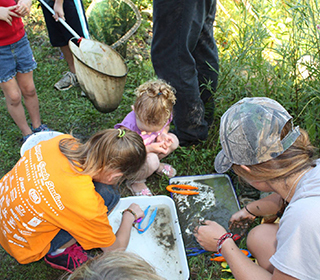 With our on-site and off-site ScienceStrong—Explore, Experience, Engage program, we are proud to be a leader in environmental education and science. As a biological field station, we provide opportunities for research in the environmental sciences. Our biological field station works with a consortium of 11 colleges and universities from Michigan and Indiana. Preserving ecological integrity is the goal of the Institute’s stewardship efforts. This preservation requires two major tasks: removing disturbances and non-native species our natural communities are not adapted to and reintroducing native species and the natural ecosystem processes to maintain them.